CBA is using Smore newsletters to spread the word online. "May" We Have Your Attention? May has finally made its way to first grade. The school year is blowing by us so quickly! With all the busy schedules, thank you for still encouraging your child to read at home and to keep up with other school responsibilities! Please take the time to check out our Landis Valley Video and our NEW STEM Video. Click on the dropbox links below. Mothers are special to us because….. They clean and make us dinner and breakfast. They help us if you don’t know what to do with your homework. They cook us yummy food. They teach us new words. They give us hugs and kisses. They help us with something when we struggle with it. They give us what we want and the things they give us are really special. If there were no moms, all I would be eating is take out and pizza, and always watching football. They drive us places we need to get to. They come in as mystery readers and read books with great fluency. They give us life when we are born. Thank you to all our wonderful moms! We are so excited about the growth all the students have made in reading! They are awesome readers and we hope that you have seen this at home too. This is all the more reason to be sure your child is reading over the summer by listening to a story read by a parent, reading to someone, going to the library or reading group, or just reading on their own. 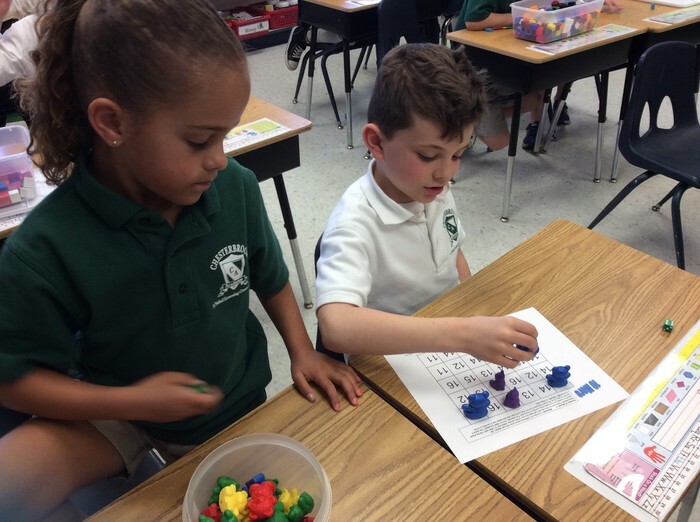 We want students to continue to practice the strategies and skills they have learned, so they can continue their growth in second grade! Over the next few weeks children will learn about how a great idea can make a difference. How do we solve mysteries? How can a great idea make our lives easier? How can a great idea change the way we live? What can happen when someone has a new idea? Compare and Contrast: Compare means telling how things are the same. Contrast means telling how things are not the same. Good readers pay attention to how things are alike and different. This can help them understand what they are reading. Main idea and Details: The main idea is what a story or article is mostly about. Details are small pieces of information that tell about the main idea. 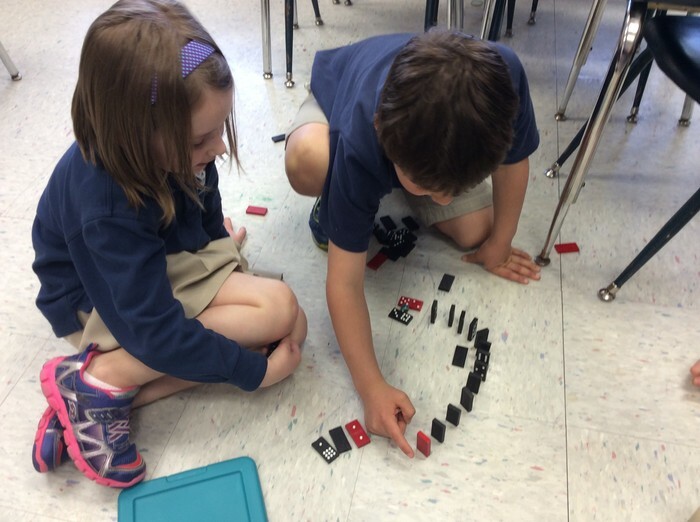 Sequencing: Events in a story happen in a certain order or sequence. 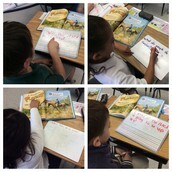 Good readers pay attention to the sequence in which things happen because it helps them understand the story. Theme: Every story has one “big idea” or “meaning.” Good readers use things that have happened to them in their own lives to help them understand the big idea or story. Monitor and Clarify: If something seems confusing or does not make sense, good readers reread part of the story or use the pictures to help clarify the meaning. 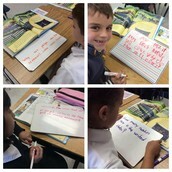 Summarize: When readers want to understand or remember what they read, they think about the most important parts. 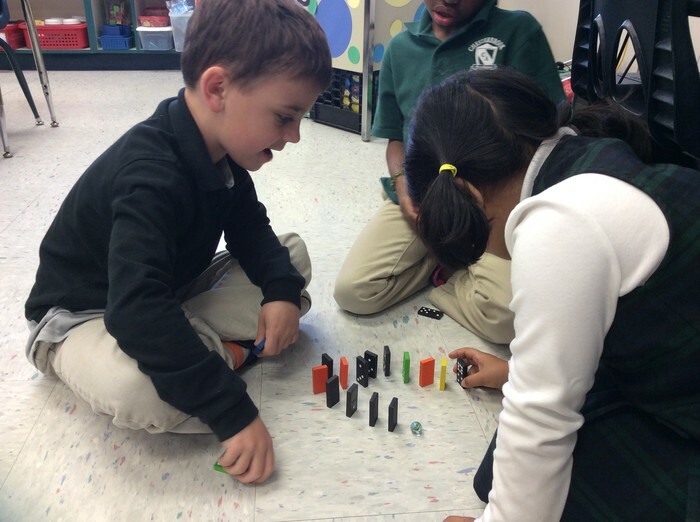 They think about how to retell what happens in a short way. 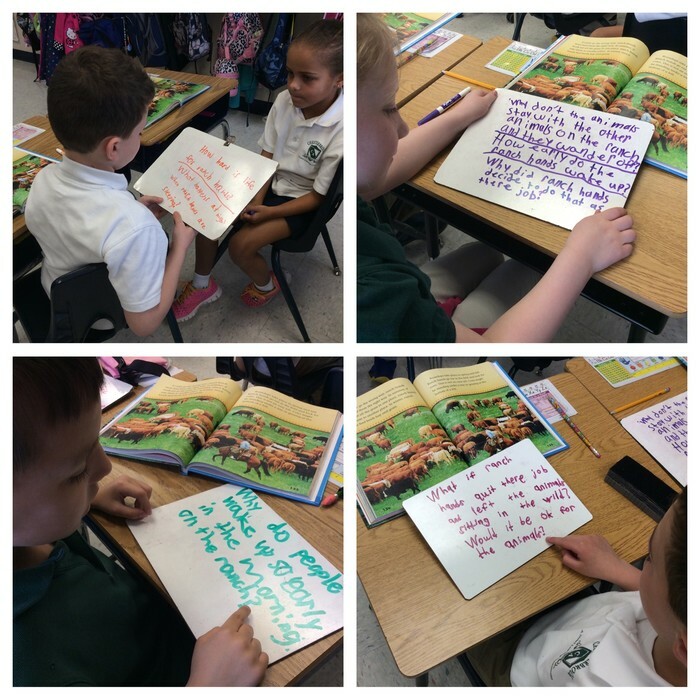 Text Structure: Good readers use all the information in a selection and how the text is organized to help them understand what they read. 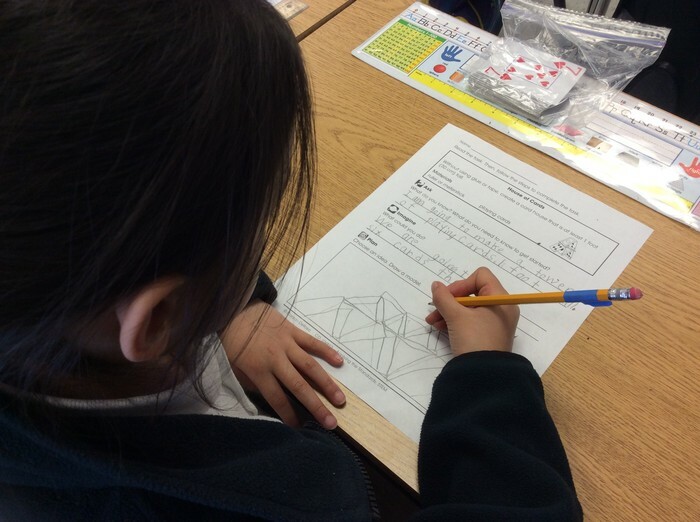 Inferring: Good readers think about what they already know. They use that knowledge to come up with new ideas about what they read. The phonics skills we will be working on this month are the vowel sounds of oo, suffixes, and prefixes. Knowing these phonics patterns will help students decode words as they are reading. For the remainder of the school year all spelling for Miss Higgins' reading class will be done in school. Please be sure to check your child's spelling journal at the end of the week to review the activities completed throughout the week. We have written so many great stories this year! Have your child continue to experience the fun of writing by keeping a writing journal over the summer where they can exercise their abilities as an author. Some ideas for writing include: personal narratives (true stories from your child’s life), how-to books, all about books (nonfiction writing about one topic), poems, or anything they feel like writing! This month in writing, we will work on staying on topic and writing research reports, letters, autobiographies, and poems with a logical sequence. We continue to look for mastery of conventions (capitalization and punctuation). First graders should be writing with many details and developing focused and interesting stories. 1st graders practiced the questioning strategy while reading the story "A Southern Ranch." 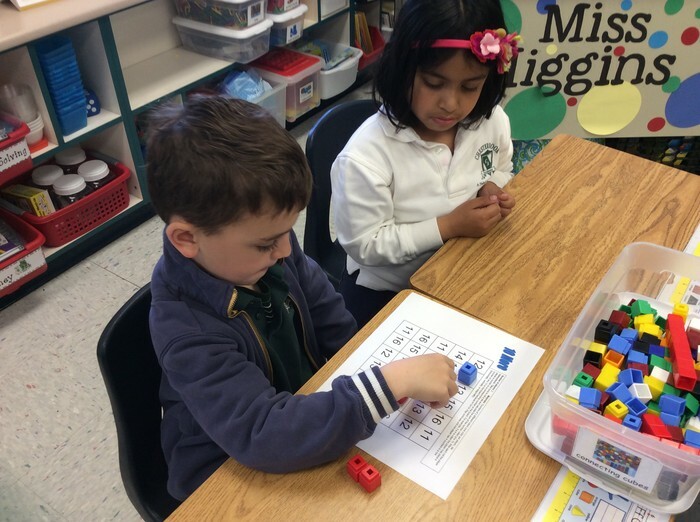 Students took turns rolling a die and calculating the sum of the number rolled plus 10. Play continued until one player had 4 counters in a row. 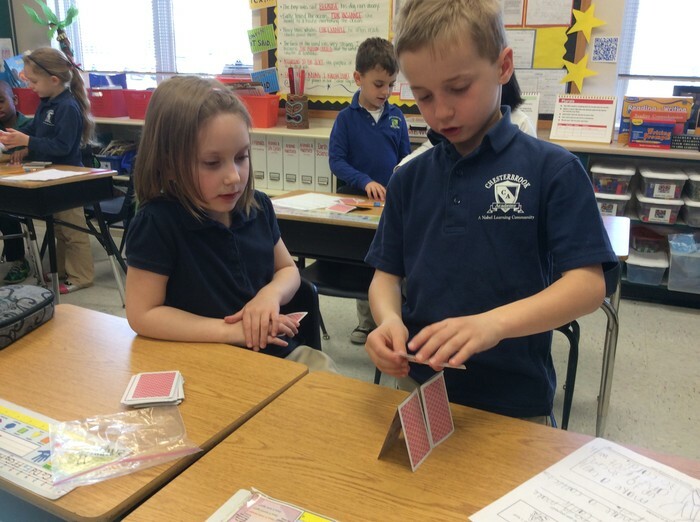 Without using glue or tape, students had to create a card house that is at least 1 foot tall. 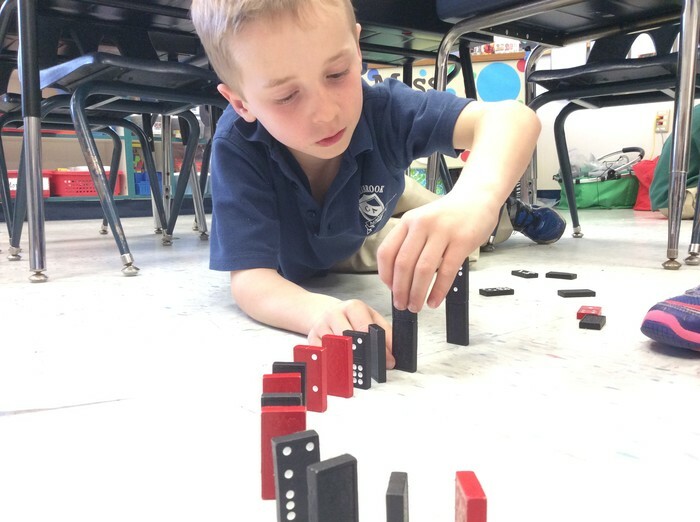 Students had to line up dominoes so that, when they fall, they cause something else to roll or fall. 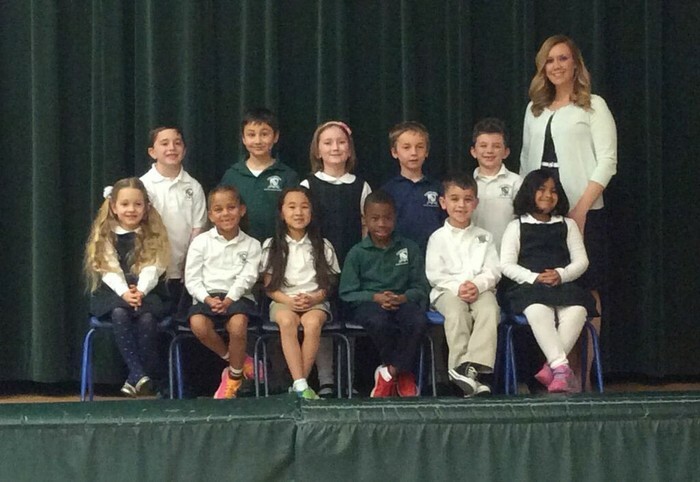 As always, please let us know if you have first grade questions or concerns!